Now 20+ years as a computer bus, this is the longest lived projects of its type in the world. 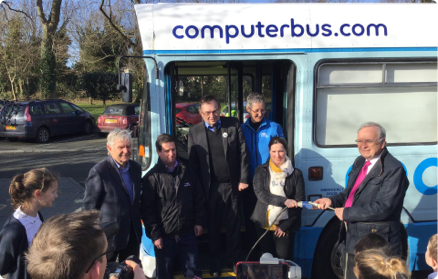 You can look back on past visits of the computer bus and keep up with this and the final year by visiting the Bus Blog (RIGHT). Computerbus is operated by the Isle of Man Department of Education and Children ICT Division and since 1998 has been sponsored by Manx Telecom.